SFingers Removals© Copyright 2010. All Rights Reserved. Our man and van South London removals service is offering high quality moving service at affordable prices. Professional house, flat and office removals. Our removal prices are all inclusive. There are extra charges only for floors (after 1st floor) and petrol (when journey is more than 10 miles). Our man and van South London prices are VAT inclusive. For long distance man and van moves we are providing flat prices. Our team has more then 10 years experience in man and van and removals service in South London and all rest United Kingdom. Our man and van team is professionally trained and have all necessary tools for successful moving. We are offering full package service : dismantling, assembling, packing and moving your items. 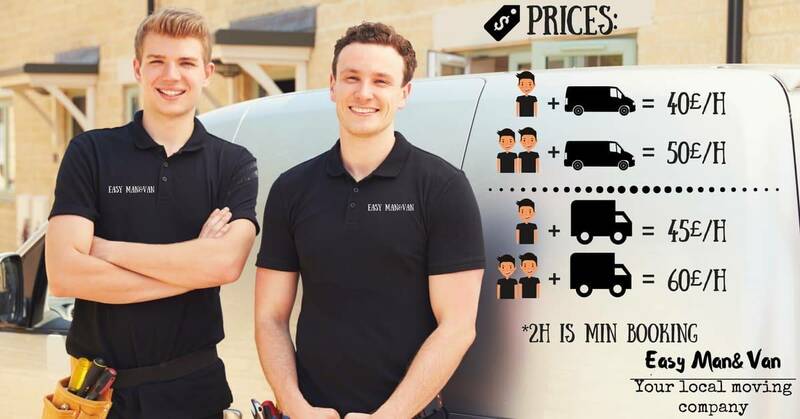 Our man and van South London team will make your moving day less stressful. We are proud man and van removals company with many reviews from our customers. We care about each of our clients and trying to offer the best removals service possible. These are LIVE GOOGLE reviews. Very friendly and accommodating service! We do not do only Man and van South London, but we are covering all rest UK and even Europe. Please contact us for more information and quote. We are reputable man and van removals company and offering high standard and quality service. Quality man and van South London service at affordable prices and extensive experience in different removals. Well trained and professional staff with clean and well equipped vans. FULLY INSURED man and van company for your peace of mind. BOOK TODAY.